Are you looking to decorate in the style of the Pottery Barn stores? That rustic look is all the rage and really always has been for a long time. Now, with a little ingenuity and elbow grease, you can recreate pieces that you would find at the Pottery Barn, but at a fraction of the price. 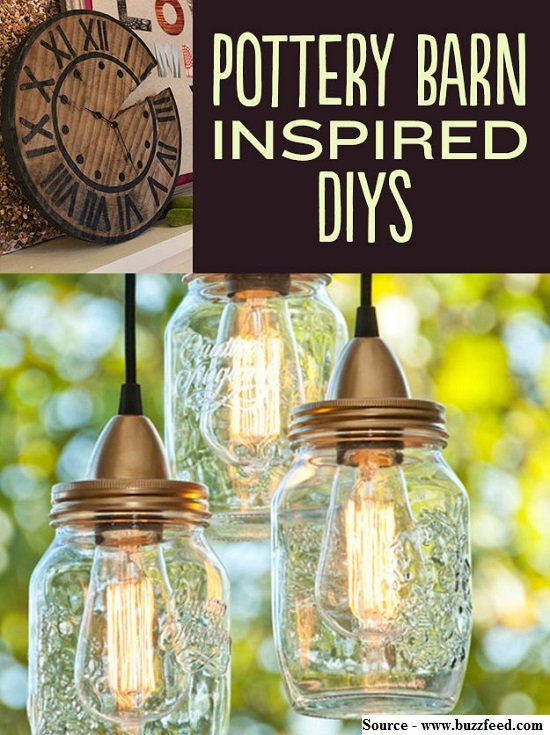 Thanks to buzzfeed.com for compiling this amazing list of Pottery Barn inspired homemade projects. Follow the link below to view and get instructions on some cool DIY projects.